Need a Digital TV Antenna but don’t know where to start? Television technology has evolved and so too has the technology that supplies TV reception, which is great news for Australian households as we can now enjoy plenty of free to air television station choices – commonly referred to as Freeview. Depending in which state and region you reside, there are now 17 or more Freeview stations available in most Australian Capital and Regional cities. At Jim’s Antennas, we can provide you with no obligation free onsite quotes and evaluate your digital aerial needs to make sure you’re getting the best possible reception for your viewing pleasure, while also making sure you have access to all of the latest digital stations. Digital antennas eliminate all sorts of reception problems and allows you the experience of uninterrupted viewing. 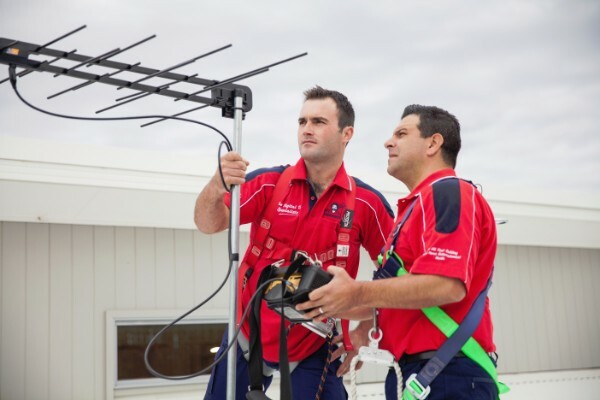 At Jim’s Antennas, our team of experienced professionals will not only install the TV aerial on your rooftop, but will also take necessary steps to ensure its longevity. Call us today at Jim’s Antennas and we’ll arrange a digital antenna installation so you can enjoy all the benefits of Free to Air TV. Simply phone us on 131 546 and we’ll provide you with a free onsite quote so that you can experience the difference digital aerials can offer, today. Well that’s an easy question. As part of the trusted Jim’s Group network, our team is fully experienced, qualified, police checked and insured and all our products come with industry-leading guarantees. That means you don’t have to worry about installing complicated equipment or climbing onto your roof to change over aerials. We know antennas and we know how to get you the best reception possible with the fastest turnaround time; so don’t waste another day with poor picture quality and constant drop-outs.